Fifty years after the Disaster, the world is vastly different from days of old. Wizardry is the norm and magical talent is categorized. Josephine O'Connor, an eighty-four-year-old with a penchant for off-beat antics, is a category six, which means she possesses magical powers as rare as they are unsettling and a talent for psychometry that is so strong and acute that she can read the psychic impressions in a room without touching anything. With her unique physiology, she’s over 80 years of age and still gets carded at R-rated movies. Most of the time it’s flattering but it can sometimes be a nuisance. For the most part, Josephine spends her days like any other retirement community member. She plays cards with friends, attends get-togethers, and occasionally visits the beach until she is called upon by the police to investigate a crime scene left behind by a suspect with powers equal to her own. Now the race is on. 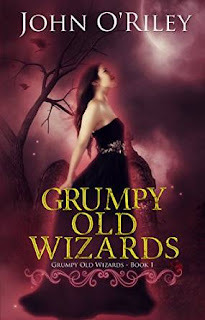 Can an out-of-practice wizard marshal her abilities and catch a menace before he becomes so powerful even she can’t stop him?